Black Friday is almost here. This week is special because of various reasons but the most important is for deals. Every company advertises Black Friday Deals in advance so that all the shoppers are prepared in advance on what to buy and where to look for. If you guys have not seen my last year post on Black Friday Shopping Tips you can check here. Recently I was looking for the Black Friday deals and I found some crazy deals. One of them is on Cooks Air Fryer in JCPenney where it is showing on sale for $4.99 for BlackFriday Sale when usually it is $60-$80. However, one more thing I noticed in ** is After $20 MAIL-IN REBATE. As this is a new concept for me I didn't understand this and I started reading in detail about it. 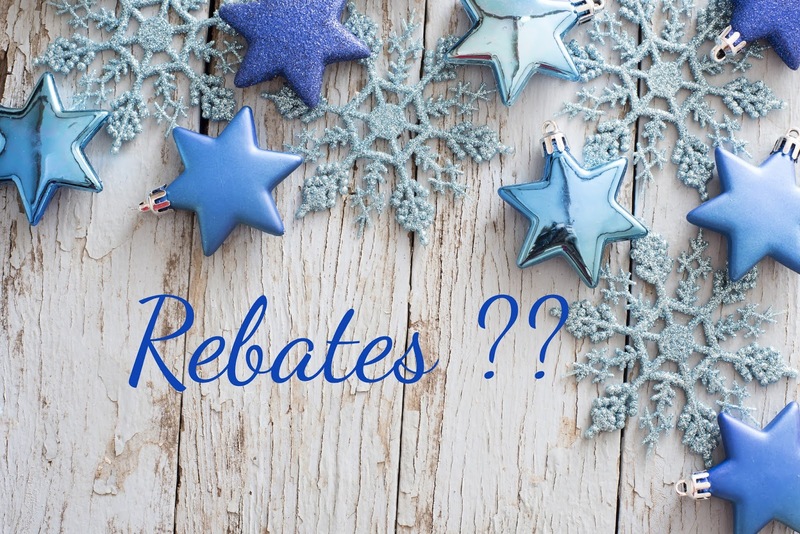 Today's post will throw some lights on the What, Why and How of Rebates. Let's get started. No Rebates are Ebates are not at all related. Ebates is a cashback website to save money. If you have not seen my post on How I Earned More than $1000 using Ebates then click here and you also can save some money. Coming back to Rebates in literal terms Rebates is a partial refund on the extra money which we have paid. For the customer wherever he is seeing the Rebates mentioned on the products it means that the Customer is paying the Sale price at the time of purchase and later gets a refund from the company. Usually, for this refund, the customer has to work a little by filling a form & sending it to the company with the proof of purchase. Once the company verifies that you are the actual shopper they will send you back the refund amount either in the form of a cheque or a prepaid debit card. Are Rebates legit? Will I really get my refund? Yes, Rebates are legit. If the company has promised and advertised that they will send Rebates, they will be bind to. During Black Friday you will see many companies use this strategy to increase their sales. It is a win-win situation for both companies and customers. Companies get their sale up and also they can earn interest on the money which the customer paid upfront. For the customers with a small effort, they are getting the products on really crazy discounts. How to apply for Rebates? Companies clearly print the rules on how the customer should be applying for the rebate and how many days it can take for the customer to get back the rebate amount. It can vary from company to company. Just make sure read carefully so that while sending rebates form and other details you don't miss out anything. Otherwise, it will jeopardize your chances of getting the amount back and also all your efforts till now. I hope you have liked this post. Do share it with your friends and family. For more special Black Friday Posts stay tuned with us! Follow me on Khushi's World Facebook Page, Instagram, and Pinterest. I will see you in the next post till then take care! !